The @DavidGeurin Blog: What if schools were more like Google and Starbucks? What if schools were more like Google and Starbucks? Recently, I was blessed with the opportunity to hear Eric Sheninger speak about digital leadership at a workshop in Kansas City. It was, of course, a great day of inspiration and information. At one point in his talk, Eric commented that schools should "be more like Google and Starbucks." This idea got me curious about ways education could benefit from being more like these companies, and others like them that are innovating and creating value in extraordinary ways. So my purpose here is to consider what education might learn from companies that are leaders of innovation and knowledge creation in their industries. Can the culture of these organizations translate to education to help create even better opportunities for students? In our rapidly changing world, the need for new paradigms and creative thinking is more important than ever. 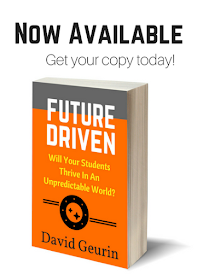 Schools that will thrive in the future won’t do what’s always been done. They won’t simply replicate success; instead, they will invent new ideas of how schools can help students be future-ready. Google has been the epitome of innovation among the tech giants. Google has 9 principles of innovation that guide the company’s culture. Many schools have already borrowed from the Google playbook by developing Genius Hour or 20-percent Time, where students are given time in their schedule to pursue projects they are passionate about. Google’s 20-percent Time has resulted in the development of valuable products like Gmail and GoogleEarth. Schools should consider utilizing the 20-percent Time framework for both students and teachers. For students, it provides opportunities for self-discovery and high-interest learning. For teachers, the opportunity to pursue side-projects would result in new practices and possibilities. As an added benefit, the greater sense of autonomy would lead to increased motivation and professional satisfaction. Another one of Google’s 9 principles is to have a mission that matters. Google has created incredible value for it’s customers through the development of extremely useful products and services. Google impacts millions of users, and it’s employees drive the mission to continue to create even greater access to information and communication. Google has a mission it’s employees can fully embrace. They feel like they are making a difference every day. As educators, schools have a mission that matters most. We are in the business of changing lives and helping kids have better opportunities in life. But all too often, top-down mandates take the life out of the classroom and educators lose sight of the mission. The ideas that would create the greatest energy for continuous improvement are crowded out by doing stuff in a standardized, prescriptive way. School leaders must focus on clarifying a shared sense of mission that is truly a mission and not focused on test results. And then allow teachers the freedom to create ideas and build on their individual strengths in the classroom. Ultimately, teachers must drive the mission to create the most amazing learning opportunities possible. Read more about Google’s 9 Principles of Innovation. Starbucks was built on creating a personalized experience for customers. Sure, coffee is great, and it’s great to be able to customize your latte or frappuccino to your liking. That’s part of the magic. Customers love to be creative in exploring unlimited possibilities in the Starbucks menu. But beyond the beverages, the Starbucks culture is focused on connecting with the customer. What really sets the company apart is the ability to provide an experience that connects on a personal level. Learning is also very personal and should not be a one-size-fits-all experience. 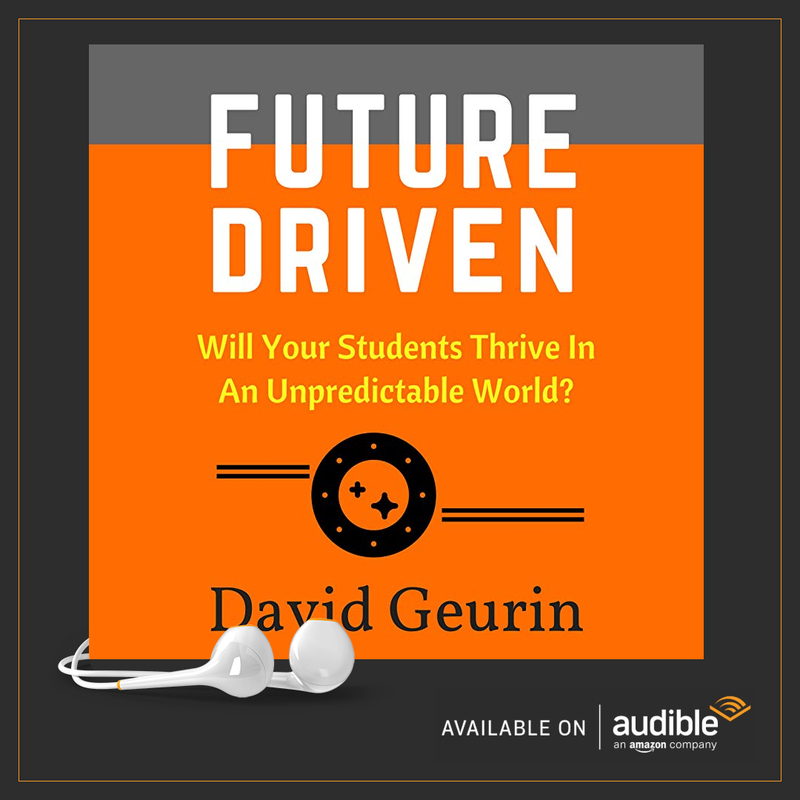 Schools that are future-driven will aim to provide students with an experience that is tailored to their needs, one that allows for greater voice and choice in learning paths. So schools should consider these ideas for being more like Starbucks. 1. Get to know students on a personal level 2. Give students voice and choice 3. Wi-Fi, and access to devices, are a must 4. Provide flexible seating and collaborative spaces 5. Value creativity EPIC Elementary in Liberty, MO embraces personalized learning. Starbucks might even learn a thing or two from these innovators. Amazon is probably my favorite company. I just love the fact I can order online and have my item delivered incredibly fast and well-packaged and if there is ever a problem, the customer service will be incredible. But what can schools learn from Amazon, you’re thinking? Like Google, Amazon has a relentless focus on providing value to its customers. They don’t focus on beating competitors or winning market share. Instead, they focus on meeting their customers' needs. So maybe schools should stop trying to beat standardized-tests and focus the energy on creating greater value for students and their futures. Amazon has a strong entrepreneurial culture. The company seeks talent that is interested in developing new ideas and encourages idea development from all levels of the organization. Creative and talented people want to work for Amazon. If schools encouraged this type of culture, perhaps education would retain more of its best and brightest. We need to attract and retain teachers who are passionate about making a difference and who are creative risk-takers. I’m not sure the culture in most schools supports the needs of these entrepreneurial educators. Amazon always strives to get better. The company has seen incredible growth, and it’s considered one of the most admired companies in the world and yet it doesn't rest on its laurels. Schools also need to continue to improve and never be satisfied with the status quo. We should always be working to create an even better experience for students. I couldn’t resist including Zappos in this list. The internet retailer—mainly known for shoes, fast shipping, and incredible customer service—was included because of their innovative core values. The unrelenting focus on providing value to the customer seems to be a common theme among all the companies I've featured. 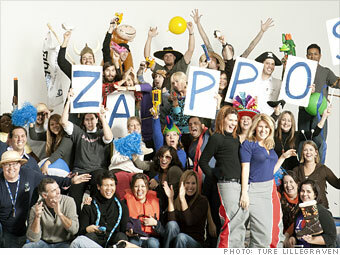 But what sets Zappos apart is the focus on creating a really fun workplace. But schools can learn from this too. I always say we're going to work hard and have fun while getting the job done. As we are working to re-imagine how school will meet the needs of the future, we should remember to enhance the fun factor. Learning should be fun, and we should celebrate a little weirdness, just like Zappos. Here are a few of my favorite bloggers/authors who regularly write about innovation in education. Side note: I want to make clear that comparing public education to business should be done cautiously. My goal in this blogpost is not to imply public schools should exclusively try to be like businesses. 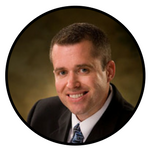 The fundamental purpose of a business is very different from a school and that distinction is important. There are those who would like to privatize and even commercialize K-12 education, and that is harmful in my view.